Kopczynski, Sean. “Rediscovering the Decrees of the Pontifical Biblical Commission” in Living Tradition, No. 94, July 2001. McCarthy, John F. “Pontifical Biblical Commission: Yesterday and Today” in Homiletic & Pastoral Review, January 2003. Prudlo, Donald. “The Authority of the ‘Old’ Pontifical Biblical Commission” in Fellowship of Catholic Scholars Quarterly Volume 27, Number 3, Fall 2004, pp. 12-16. Circa citationes implicitas in S. Scriptura contentas (On the Tacit Quotations Contained in Holy Scripture) — February 13, 1905. De narrationibus specietenus tantum historicis (Concerning the Narratives in the Historical Books Which Have Only the Appearances of Being Historical) — June 23, 1905. De mosaica authentia Pentateuchi (On the Mosaic Authorship of the Pentateuch) — June 27, 1906. De quarto evangelio (On the Author and Historical Truth of the Fourth Gospel) — May 29, 1907. De libri Isaiae indole et auctore (On the Character of the Book of Isaias and its Author) — June 28, 1908. 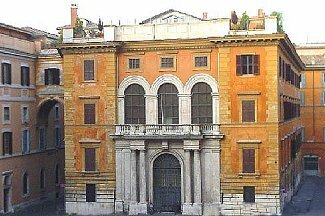 De organo officiali Pontificiae Commissionis de re biblica (The Official Organ of the Pontifical Biblical Commission) — February 15, 1909. De charactere historico trium priorum capitum Geneseos (On the Historical Character of the First Three Chapters of Genesis) — June 30, 1909. De auctoribus et de tempore compositionis Psalmorum (On the Author, Time of Composition, and Character of the Psalms) — May 1, 1910. De examinibus coram Pontificia Commissione Biblica subeundis (Examinations for the Academic Degrees before the Pontifical Biblical Commission) — May 24, 1911. Quaestiones de evangelio secundum Matthaeum (On the Author, Date of Composition, and Historical Truth of the Gospel According to St. Matthew) — June 19, 1911. Quaestiones de evangeliis secundum Marcum et secundum Lucam (On the Author, Time of Composition, and Historical Truth of the Gospels According to St. Mark and Luke) — June 26, 1912. De quaestione synoptica (On the Synoptic Question or the Mutual Relations Between the First Three Gospels) — June 26, 1912. Quaestiones de libro Actuum Apostolorum (On the Author, Time of Composition, and Historical Character of Acts) — June 12, 1913. Quaestiones de epistolis pastoralibus Pauli apostoli (On the Authenticity, Integrity, and Time of Composition of the Pastoral Epistles) — June 12, 1913. De epistola ad Hebraeos (On the Author and the Manner and Circumstances of Composition of the Epistle to the Hebrews) — June 24, 1914. De parousia in epistolis Pauli Apostoli (On the Parousia or the Second Coming of Our Lord Jesus Christ) — June 18, 1915. De additione variarum lectionum in versione Vulgatae tam Novi quam Veteris Testamenti (Concerning the Addition of Variant Readings in Editions of the Vulgate Version of the Old and New Testament) — November 17, 1921. De falsa duorum textuum biblicorum interpretatione (On the False Interpretation of Two Texts) — July 1, 1933. Opus cui titulus «Die Einwanderung Israels in Kanaan» reprobatur (Concerning the Work of R.D. Frederic Schmidtke entitled ‘Die Einwanderung Israels in Kanaan’) — February 27, 1934. De usu versionum Sacrae Scripturae in ecclesiis (Concerning the Use of Translations of Holy Scripture in Churches) — April 30, 1934. De experimentis ad lauream (The Examinations for the Doctorate) — July 16, 1939. Un opuscolo anonimo denigratorio (Letter to the Archbishops and Bishops of Italy) — August 20, 1941. De experimentis ad Prolytatum (On the Examinations for the License) — July 6, 1942. De versionibus Sacrae Scripturae in linguas vernaculas (On the Use of Versions of Sacred Scripture in the Vernacular) — August 22, 1943. De usu novi Psalterii latini extra horas canonicas (On the Use of the New Latin Psalter Outside the Canonical Hours) — October 22, 1947. Des sources du Pentateuque et de l’historicité de Genèse 1-11 (On the Mosaic Authorship of the Pentateuch and on the Historical Character of Genesis 1-11 [Letter to Cardinal Suhard Concerning the Time of Documents of the Pentateuch and Concerning the Literary Form of the Eleven Chapters of Genesis]) — January 16, 1948. De Scriptura sacra recte docenda (On the Proper Way to Teach Sacred Scripture in the Seminaries of Clerics and the Colleges of Religious) — May 13, 1950. De libro «Die Psalmen» Bernardi Bonkamp (On the Book ‘Die Psalmen’ of Bernard Bonkamp) — June 9, 1953. De consociationibus biblicis et de conventibus eiusdem generis (On Biblical Associations, and on Biblical Conventions and Meetings) — December 15, 1955. Sancta Mater Ecclesia (The Historicity of the Gospels) — April 21, 1964.